Louise Coakley loves solving puzzles and enjoys making difficult concepts easy for others to understand. Louise started her career working with big business data in a multi-national blue-chip company, and now works with DNA data and family trees to solve genealogical relationship puzzles. 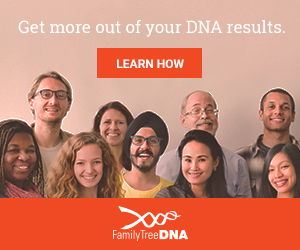 DNA testing is extremely popular, but beginners often find it confusing or even overwhelming. Louise has a passion for educating others in genetic genealogy, and has the knack of making the most difficult topics seem simpler and manageable. She guides others to help them explore, interpret and apply their DNA results to their unique family situations. Louise Coakley is a genetic genealogist who spreads awareness of the amazing power of DNA testing amongst family historians and the wider community, particularly in Australia and New Zealand. She convenes a DNA Interest Group, a DNA Drop-In Clinic, uses DNA to assist others searching for biological relatives, and maintains a website and blog to guide beginners. Louise is a popular speaker on genetic genealogy in Australia – both online and in-person. She created and leads the Facebook support groups Using DNA for Genealogy – Australia & NZ and DNA for Genealogy – UK and is a co-administrator for a number of other groups and DNA Projects. Louise has been researching family history for 21 years, and has been using DNA testing as a research tool for eight years. She is a member of the Genealogical Society of Victoria, the Society of Australian Genealogists, the Cairns & District Family History Society, the International Society of Genetic Genealogy and the Association of Professional Genealogists. She holds a Certificate of Genealogical Research from the Society of Australian Genealogists, and she has undertaken a wide range of education and professional development activities in genetic genealogy. Louise is from Melbourne, but currently lives in Cairns. Her background is in business systems and data analytics, and her professional qualifications include a Master of Business Administration (MBA), Bachelor of Business (Data Processing), and Certified Practising Accountant (CPA).